Aerobic or cardiovascular exercises are described by moving your body in a repetitive activity without or with little resistance. Several muscle groups normally get worked and it helps in improving your aerobic activity and burning calories. Running is one of the high-impact cardio exercise and can either be done outdoors or on a treadmill. The best cardio is that which you can do all day consistently. According to the American Department of Health you will gain significant benefits from at least two hours weekly of moderate intensity cardio exercises or one hour of high impact cardio exercise. A lot of people don’t want to engage in running and wonder what other cardiovascular exercises they can participate in. This article will show you how to cardio without running. This is a low impact cardiovascular exercise where by handheld poles and foot platforms are commonly moved back and forward in a soft, gliding motion. It is comparable to cross country skiing in that your lower and upper muscles work in cycle you to get enough exercise in a very short period of time. Elliptical training basically targets the chest, triceps, back, hamstrings, quads and the glutes muscles. According to experts a 30- minute elliptical training can burn approximately 380 calories for a person weighing 180-lb. It is an ideal exercise that helps you build endurance. Stair climbing is another low impact form of cardiovascular exercise that can be performed n a stair machine that resembles a small staircase. It is simple because you just need to start the machine and walk the staircase continually as it revolves around. Your glutes muscles will get a very good exercise on this machine. However, it is not mandatory that you use this machine you can still work out on the normal staircase. All you need to do is simply running up and down your staircase or find a place that has several set of steps. 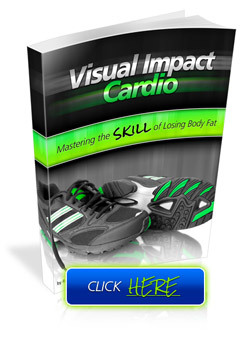 This cardio just like the elliptical training exercises your lower and upper body. You perform this cardio on a rower or a rowing machine. To train you just need to seat on the device and place your feet on the slanting platform and grasp the handle with your two hands. Gradually push off the raised area, pull the handle towards your chest and repeat that procedure. By doing so you stimulate the same activity you would experience if you were in a boat on water. The hamstrings, biceps, glutes and back muscles are mainly involved in the rowing. This is performed by simply holding a two handled ends of your rope and circling it around your body in a repeated motion. You are supposed to jump the rope each time it moves down to the ground. Using a rope that has weighted handles will help in increasing the resistance of your muscles. It is indeed one of the simplest cardio that you can perform that is most effective in cardio endurance and boosting your performance in different sports. It is ideal for your eye and hand coordination, foot and hand motion and lateral movements. This also a low impact type of cardio that can either be done outdoors or on a treadmill. Walking up hills or changing your speed from low to high will help increase your intensity. Walking is less intense than running but it is very effective in burning calories. Experts state that a person weighing 200-lb can burn approximately 340 calories while walking at 3.5 mile per hour for around sixty minutes. It is a high intensity interval training HIIT that you perform to music stimulating a challenging bike riding with valleys and hills at alternating speeds. An instructor should dictate the varying speed if you want to get the desired results. Just like the elliptical training it is an ideal cardiovascular exercise because it involves your entire body. It is an excellent cross-training for all cardio exercises. It is argued that doing the breast stroke style can help burn over 400 calories in a half an hour time. This is also an ideal cardiovascular exercise that can either be done indoors or outdoors. Depending on your speed and resistance you can burn at least 250 to 500 calories in half an hour.